You probably already understand the importance of motivating your team to ensure maximum levels of performance. You will also understand that you must motivate different individuals in different ways, i.e. what works with one person won’t necessarily work with another. Motivating your team to learn is no different. Intrinsically motivated learners – learners whose motivation is internal. These learners want to learn the topic, and/or they choose to learn. 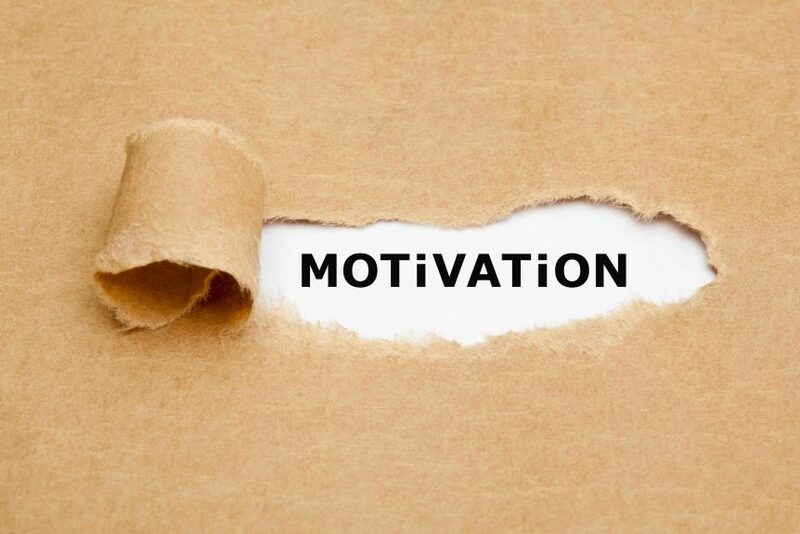 Extrinsically motivated learners – learners whose motivation is external. This is usually because you tell them to learn the topic, i.e. you make the course compulsory. The way you appeal to learners will differ depending on their motivation. You’ve probably already guessed that intrinsically motivated learners are the easiest to deal with. You still need to make your e-learning courses high-quality using the best techniques and production standards, but intrinsically motivated learners are the easiest to engage. This particularly applies when you compare intrinsically motivated learners to extrinsically motivated learners. This is because it can be much harder to engage extrinsically motivated learners, making it harder to maximise results from the e-learning course. Here are two examples to illustrate the point. A programmer in Dubai who wants to learn new project management skills, so she can qualify for promotion the next time a position is available. This person will be intrinsically motivated so will be enthusiastic and proactive about participating and completing the e-learning course. A worker who is told he must complete harassment and discrimination training along with everyone else in the company won’t have the same levels of enthusiasm for learning. Following on from this, we can use the second point above as an example where context is important. For example, the person attending the harassment training could actually be intrinsically motivated if they are the subject of a complaint and want to prevent facing a similar issue again in the future. Never assume – never assume intrinsically motivation, even if you think there are clear benefits to them professionally and personally. The learners might not see it that way and/or they might not understand how they benefit from the training. Therefore, you should always ask the motivation question when developing a new e-learning course, ideally before you engage an e-learning course designer. Find intrinsic motivators – the differentiation between intrinsic motivation and extrinsic motivation is not always clear-cut. Often, extrinsically motivated learners will have intrinsic motivators. An example is above where context changes the motivation completely. Another example is ensuring the learner fully understands the benefits they personally get from the training, i.e. the training could improve their performance, save them time, make their job easier, improve their promotion prospects, present them with new opportunities, allow them to build experience in an area they are currently lacking, better equip them for their future career, etc. Make it relevant – sometimes you won’t be able to find intrinsic motivators which means you must make the e-learning course as appealing to your extrinsically motivated learners as possible. The first thing you should do to achieve this is to ensure the content of the course is relevant. This can take many forms, including relevancy for the job role, relevancy for the location, and more. The more relevant you can make the training, the more engaged the learner will be, even if they are only doing the course because they have been told to. Brevity – keeping your e-learning course as short as possible will also help. Going into long explanations about history and context will just bore the already unengaged learner, so strip all this content out. You are much better getting straight to the point and focusing on the key messages you want the learner to take away from the course. Use creative, engaging elements – the final tip is to make the e-learning course as fun and enjoyable to complete as possible. There are lots of ways to achieve this including adding multimedia elements such as video and infographics. Gamification elements are another effective tool. As you can see, the above points illustrate the importance of presenting the content of your e-learning course in a way that appeals to the motivation of the learner. It is not enough to simply give them the information. Instead, you need to tailor the content and design specifically for the learner.